[On Campus] or [Off Campus] access, whichever is applicable. note: [On Campus] is a direct access (within campus use) to our electronic subscriptions. 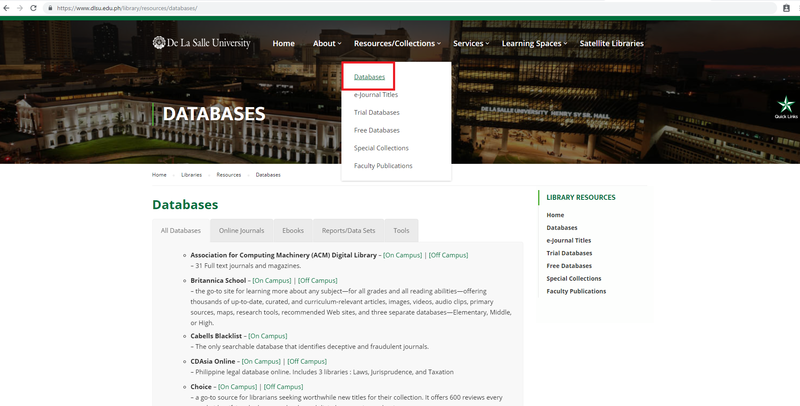 [Off Campus] is a remote access to our electronic subscriptions which requires library patrons MyLibrary account user login (different from MSL account). To register to MyLibrary, visit this link and follow the instructions.